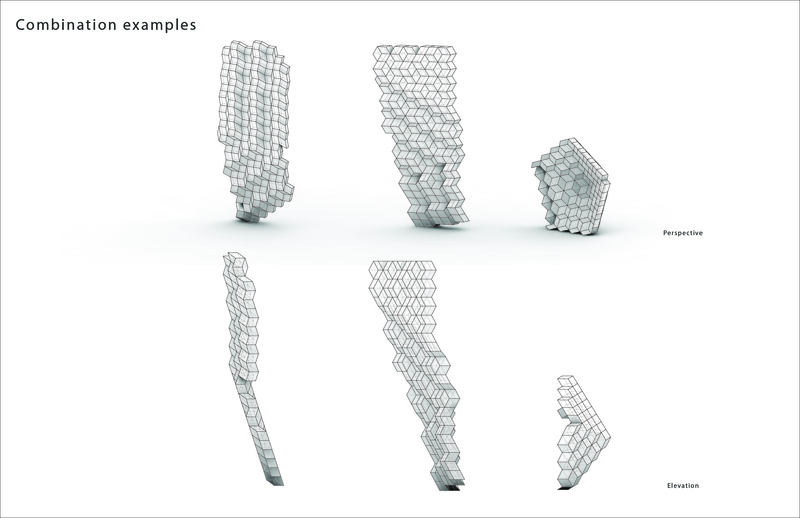 In this project I am trying to cast 2 modules from a previous project where all surfaces of the modules are identical. 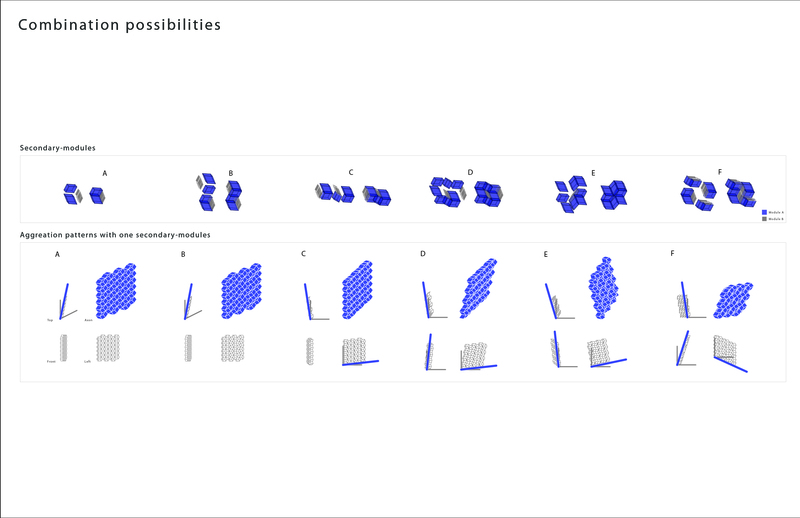 By having several specific combination, continuous surfaces with different variations of peaks and valleys can be achieved. 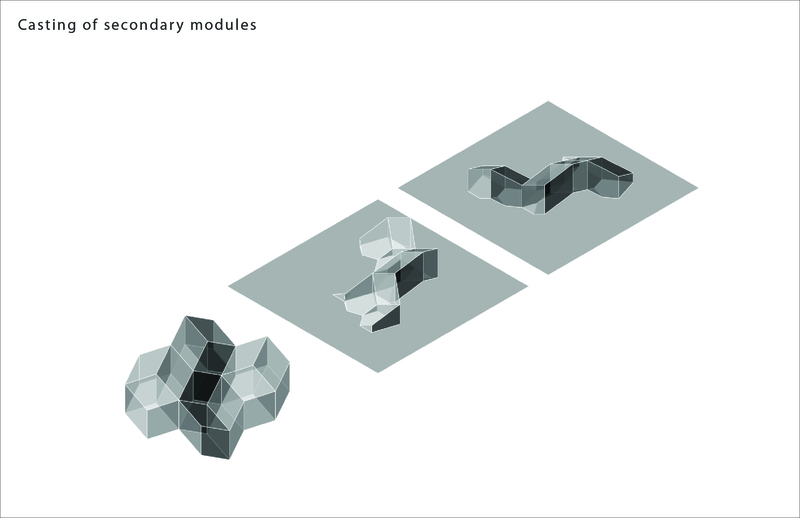 No matter how the modules are arranged, a close packed surface can be formed with the 2 modules. 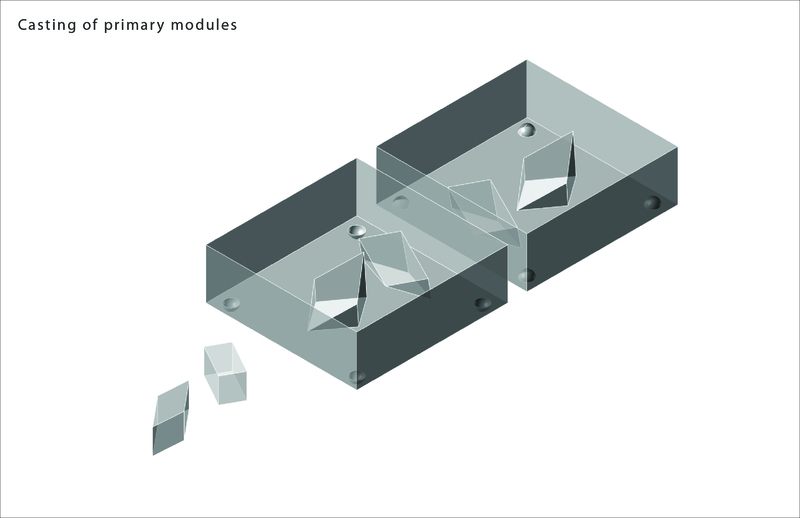 In the beginning I would like to cast out a secondary module for the project, but I realized that there will be undercuts for the casting mold. 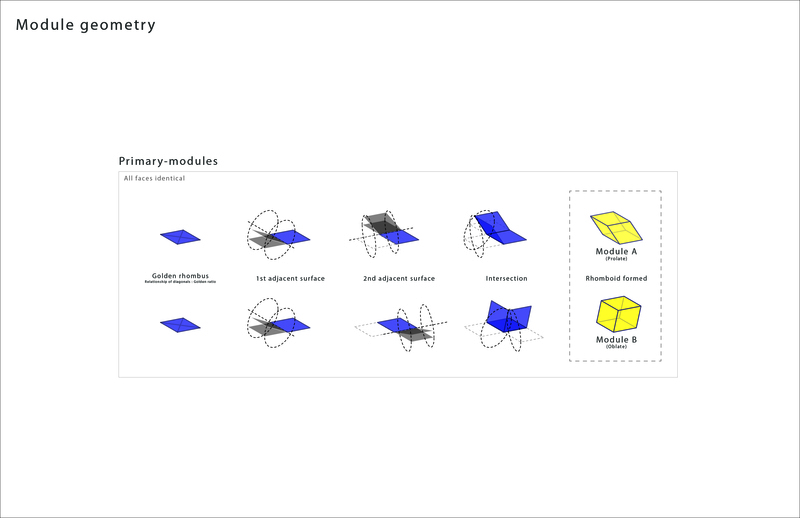 So the primary modules were chosen as the objects for casting.